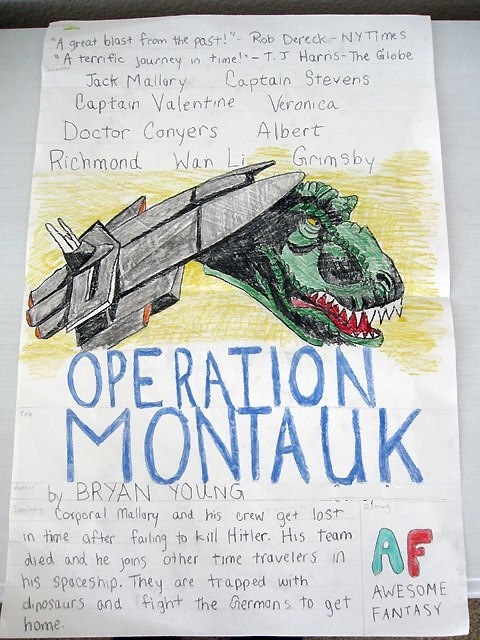 A young fan of Operation: Montauk read the book and liked it enough to do a book report/movie poster. It's one of the coolest things I've seen and made me very, very happy. If you, too, want to experience this "Awesome Fantasy," you can grab it in the store. It's also available digitally (links here).